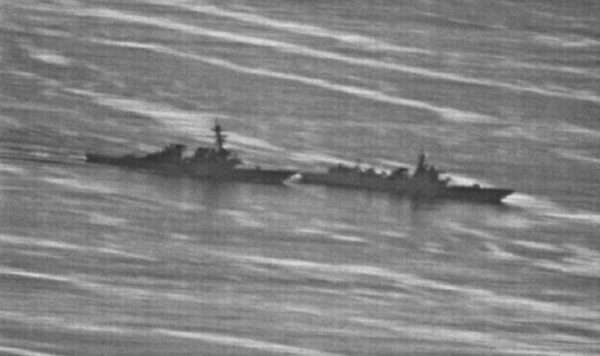 Newly surfaced aerial photos show the gravity of the close call between US and Chinese destroyers over the weekend in the South China Sea. The photos were originally posted by the site gCaptain, a community site for “maritime professionals,” who said they obtained the photos from the U.S. Navy. Three U.S. officials confirmed the photos’ authenticity to CNN. 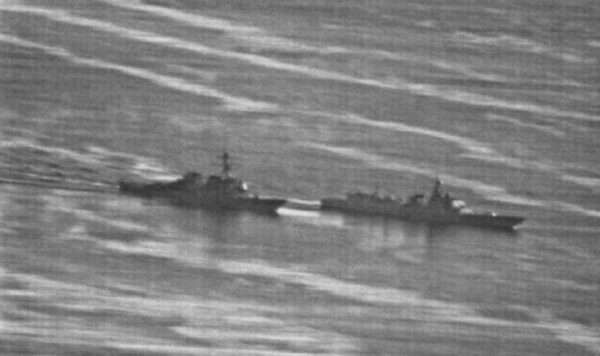 The photos show the tense moments leading up to the vessels’ 45-yard proximity and close call, and the USS Decatur’s ultimate decision to steer away to avoid colliding with the Lanzhou. The USS Decatur was conducting a “freedom of navigation” operation near the Spratly Islands in the South China Sea. Although China claims the islands, the area is in international waters and the USS Decatur’s mission was within international law. Although the U.S. maintains that the operation was within international law, China claims it was an encroachment on their territory, for which they responded defensively. “The Chinese military will resolutely perform its defense duties and continue to take all necessary measures to safeguard our sovereignty and the regional peace and stability,” China’s Defense Ministry spokesman Wu Qian said. An additional public statement was released by another spokesperson, Hua Chunying, from China’s Defense Ministry on Tuesday. 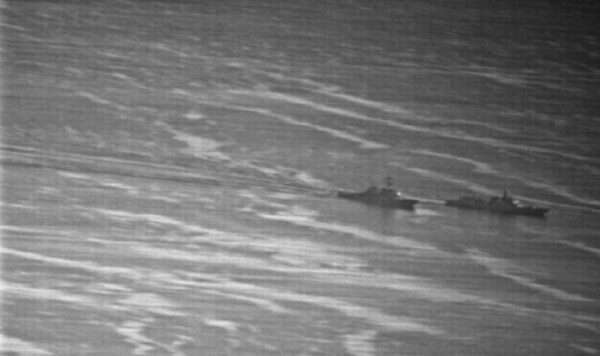 The statement accused the U.S. of sailing into waters close to Chinese territory without permission. “China has indisputable sovereignty over the South China Sea islands and their adjacent waters. The situation in the South China Sea is becoming better thanks to the efforts by China and ASEAN countries,” the statement said. “However, the US chose to ignore the shared will of regional countries and take on one provocative operation after another. It has, under the pretext of “navigation and overflight freedom”, violated basic norms governing international relations, threatened China’s sovereignty and security, and disturbed regional peace and stability. China is strongly dissatisfied with and firmly opposed to that,” the statement continued. “We strongly urge the US side to immediately correct its mistake and stop such provocative actions to avoid undermining China-US relations and regional peace and stability. The Chinese side will take all necessary measures to safeguard its national sovereignty and security,” the statement added. A vessel is typically required to request permission from a nation when warships travel within 12 miles of that nation’s territory. However, since the U.S. does not recognize China’s claim to the islands in the South China Sea, it does not seek such permission during its routine free passage missions in the islands’ radius.